"...plaintive, mesmerizing...writes and performs with the skill of a folk-circuit veteran..."
"You want some authenticity in your folk music or bluegrass – I give you Kaia Kater." 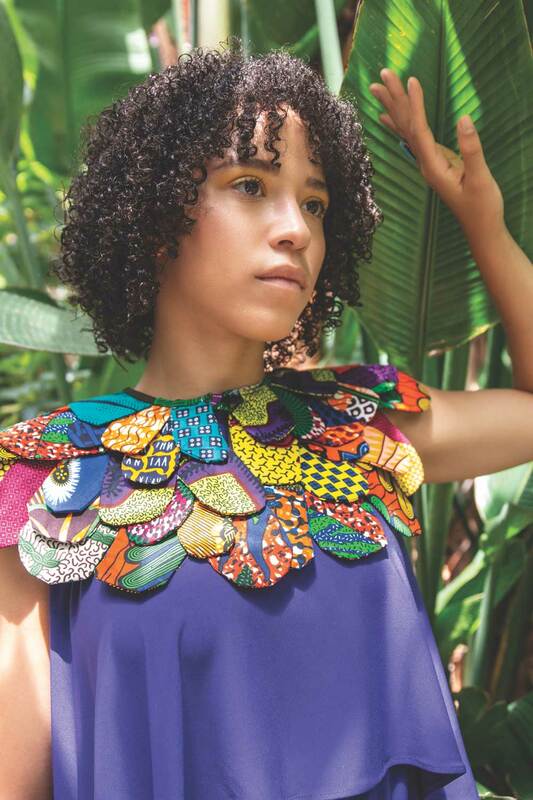 “I certainly feel like our history walks around with us every day,” Kaia Kater notes of her new single, “Grenades”. She wrote the title track from her upcoming LP “by trying to imagine myself as my dad, when he was a little boy, seeing this all happen." Kaia grew up between two worlds: one her family’s deep ties to the Canadian folk music scene; the other the years she spent soaking up Appalachian music in West Virginia. Her father grew up in Grenada, fleeing to Canada in 1986 as part of a student exchange young speakers program, after the U.S. invasion. His voice can be heard recounting those events during the album's interludes — a way for Kaia to tie her present with his past, in order to understand our current global climate of war, unease, immigration, and displacement. On Grenades, set for release on October 26 in partnership with acronym Records in Canada and Smithsonian Folkways Recordings world wide, Kater draws on her diverse influences in Quebec, the Caribbean, and Appalachia, bringing them together to present an exciting musical direction. 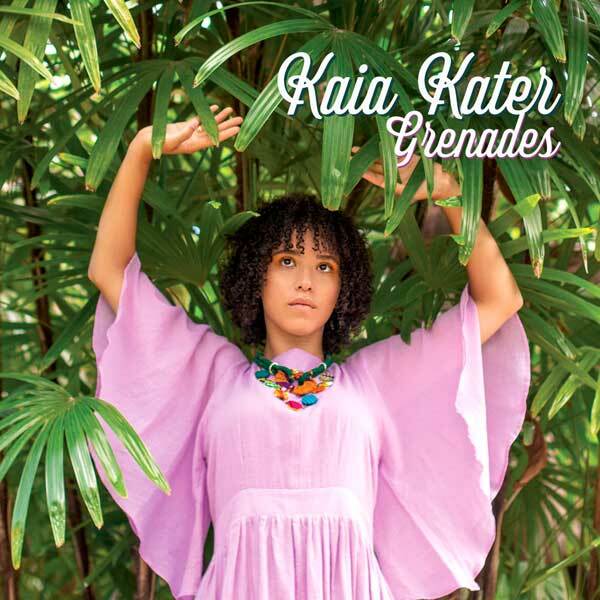 Known for her prowess as a songwriter and tradition bearer who performs with “the skill of a folk-circuit veteran” (Rolling Stone), Grenadian-Canadian artist Kaia Kater took a decidedly different direction for Grenades. What started out as a search to discover the roots of her identity became a physical and emotional exploration of history, in particular her paternal ancestry, and has led to bold new heights of imagination and creative expression. Born in Montreal, raised in Quebec and Manitoba, and now based in Toronto, Kaia studied Appalachian music in West Virginia and dove deep into old-time banjo music on her previous releases, including 2016's award-winning Nine Pin. For Grenades, she chose to lean into a wider array of sounds and styles, in order to convey a wider array of emotions and topics, most notably her paternal ancestry. Kaia started her career early, crafting her first EP Old Soul (2013) when she was just out of high school. Since then, she’s gone on to release two more albums, Sorrow Bound (2015) and Nine Pin (2016). Her most recent album weaves between hard-hitting songs that touch on social issues like the Black Lives Matter movement and more personal narratives speaking to life and love in the digital age. Nine Pin won a Canadian Folk Music Award, a Stingray Rising Star Award, and sent Kaia on an 18-month touring journey from Ireland to Iowa, including stops at The Kennedy Center, Hillside Festival and London's O2 Shepherd's Bush. Hot off the heels of a string of summer festival performances, including Edmonton Folk Festival, Kaia will be on the road in North America this fall to support the new album. Watch for more Canadian tour dates to be announced shortly. Re-launched in 2017, acronym records is a Toronto-based full service Independent Record Label and is part of the MDM Recordings Inc. family of companies, founded by Mike Denney. It is run day to day by Head of Creative/Managing Partner Tony Tarleton and supported by the amazing team of MDM. Other artists on the acronym roster include Megan Nash, Christina Martin and Mikhail Laxton with more artists to be announced soon. Canadian distribution for acronym/MDM is via Universal Music Canada, ABC Music in Australia and rest of the world via FUGA.